The Ataulfo, often seen referred to as a Champagne Mango (a name trademarked by a specific importer years back) or yellow mango, is known as Mexico’s “yellow slipper”, (after the slipper shape) as it is described in Spanish. 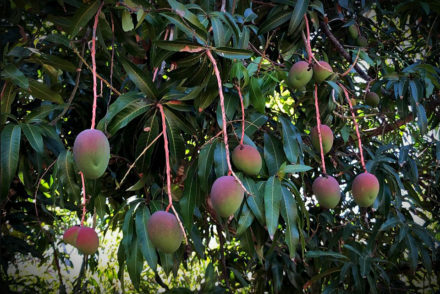 It is one of the most coveted mango varietals available to us in North America. The oval or (sort of) kidney bean-shaped fruit has a slightly spicy and vibrant, super sweet flavor; it is constantly revered for its nonfibrous flesh and buttery consistency, as well as its small narrow seed. In terms of mangoes, the Ataulfo offers what is pretty near perfection in a mango-eating experience. In my opinion, the flavors of the Ataulfo scream Mexico, with subtle but bright citrus (limón) and spicy (chili) undertones smothered in a sweet (sugar caramel) buttery flesh. It’s no surprise that the Ataulfo carries the flavors of Mexico. Its cultivar hails from our next door neighbor, although determining the exact region is a bit tricky and comes with a lot of debate; what is true is that the state of Chiapas, in the deep south, is one of the largest producers of this little yellow slipper. The fruit is readily available throughout the entire Mexican mango season, roughly around February through July, and sometimes August. Spring Ataulfos start in Chiapas and make their way up though Jalisco, Nayarit and Sinaloa through our North American summer. The fruit pairs perfectly with summer fare and thus the demand for this “King of fruit” among consumers. It is the only mango cultivar native toMexico, it is PURO MEXICO! 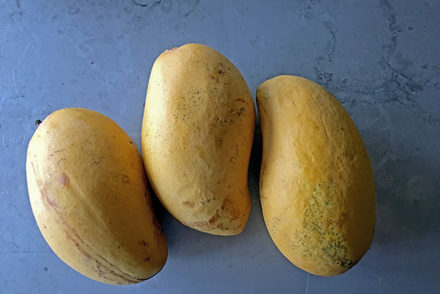 In addition to its unique flavor, the Ataulfo has an extremely unique look compared to its other readily available mango friends: Tommy Atkins, Haden, Kent and Keitt. The fruit is much smaller than these big round mangoes (and it has a more delicate look) but it’s hearty and intended to go from green to sugary ripe. The Ataulfo has the highest sugar content of all the mangoes available in the North American markets. The fruit starts out smooth-skinned, rock hard and with a pale green color. As it moves through the ripening stages (and it moves fast! ), it turns to a deep golden yellow, and during its totally ripe stage it has small black blemishes and wrinkly skin. Depending on the season the skin can look very rough, which has always deterred American shoppers. But as ugly fruit is making a big trendy comeback, we find the popularity of the Ataulfo growing with more and more American admirers. It wasn’t really until the 90’s when Mexico started to export it to the USA/Canada, mainly to ethnic, specialty and niche markets. Most vendors have shied away from this delicious fruit until recently, especially in organics. Its short shelf life and ripe “ugliness” created a risk too high for most mainstream retailers to take. In recent years, though, it has had a dramatic increase in smaller ethnic markets as well as high-end supermarkets of North America, where diversity is being celebrated and consumers are hungry for all things interesting. As mango popularity grows in North America (The King of Fruits dominates the world in terms of fruit, but is still growing more popular here) and more people learn how to choose and use these sweet things, more and more retailers are able to take risk. This is also coupled with the increased production on the Mexican side, bringing prices down considerably and lowering the risk for retailers in carrying the product. In terms of selection, choosing the Ataulfo is a little different than a round mango, but just slightly. The gentle squeeze test, (pressing gently, looking for a give similar to avocados) works; Ataulfos tend to be a bit juicier when ripe, though, so oftentimes customers can be put off by feeling the juiciness. Since the fruit is really creamy at peak ripeness there tends to be more movability of the flesh under the skin, more so than a ready to eat avocado. Like all mangoes, people enjoy eating Ataulfos and using them in various stages of ripeness. 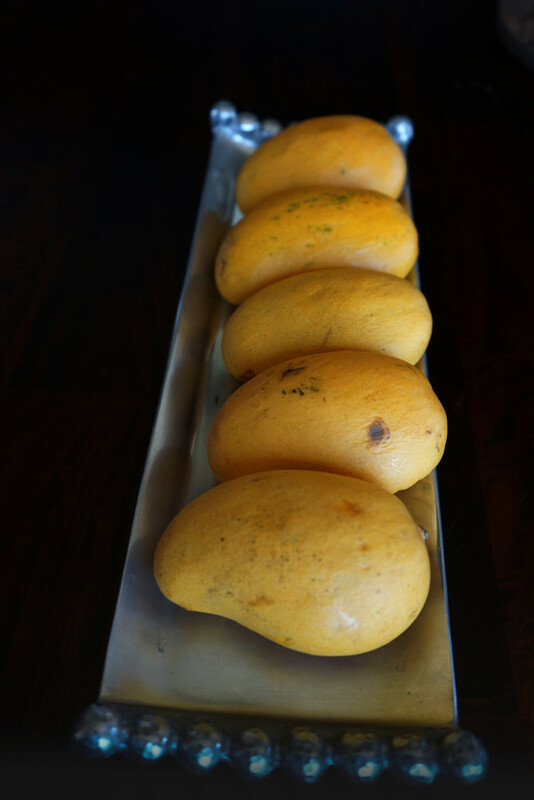 Unlike the round mangoes, Ataulfos are for the most part enjoyed while semi-ripe, ripe and totally ripe. Totally ripe Ataulfos are perfect for using in purées, sauces, smoothies, drinks, ice cream and salad dressings. 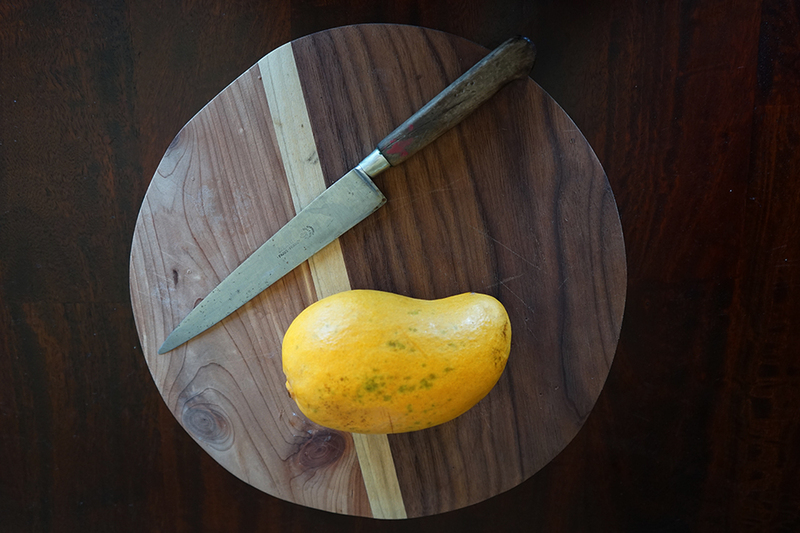 Ripe Ataulfos are a tad bit firmer and good for snacking, salsas and generally any recipes where you want a slightly less sweet but still buttery mango bite. 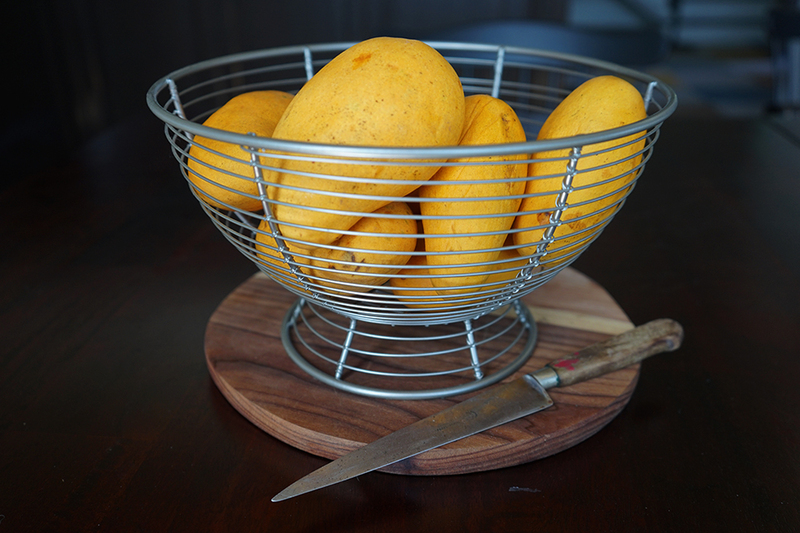 Semi-ripe mangoes are in the perfect stage to ripen naturally on your kitchen counter. The gentle squeeze test works great for this stage: choose them as you would an avocado that you want to eat in 3-5 days’ time. Ataulfo mangoes ripen quickly and the paper bag trick (placing the unripe mango in paper bag with a banana) works wonderfully on this varietal. An important thing to remember is that mangoes do not like the cold, so do not refrigerate them, unless they are peeled and chopped or just before eating (if you like to eat them colder). If you refrigerate them whole, the flesh can turn grey and mealy. Useful tip: treat them more like you would a banana in terms of storage. The best way to cut really depends on the stage of ripeness. Ataulfos are perfect for The Mango Hack: a small glass works amazingly on an Ataulfo, as long as the mango is not totally ripe and juicy. When they are overripe and super juicy it’s best to cut the top off and squeeze and push all the flesh and juice right into a bowl, or directly into your mouth. The Ataulfos also do very well with The Cut and Slice Method, used by most chefs. 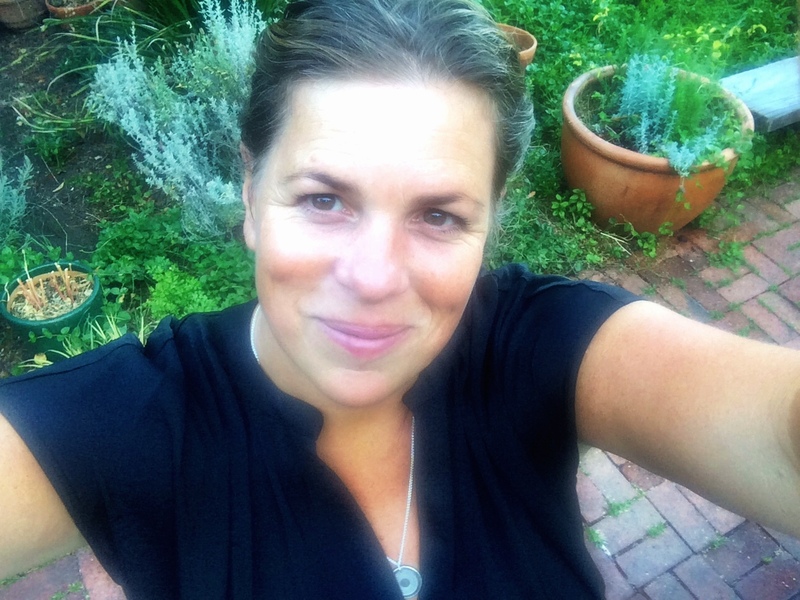 The flesh seems to slide right of the skin with just a slight scrape of the knife. We even recommend this method for kids using butter knives, having someone else cut the cheeks off for safety. For me the Ataulfo is the best snack for kids and the best to make baby food with. Yes, it’s got a higher sugar content than the other mangoes, but its nonfibrous and creamy consistency is perfect for kids, and the heath and nutrition benefits far outweigh the natural sugar content. I am also a big fan of using Ataulfos for sauces, dressings and cocktails. My Sinaloa Sauce recipe pairs incredibly well with the piquant flavor of Aataulfos, while still balancing the sweetness of the recipe’s habaneros. 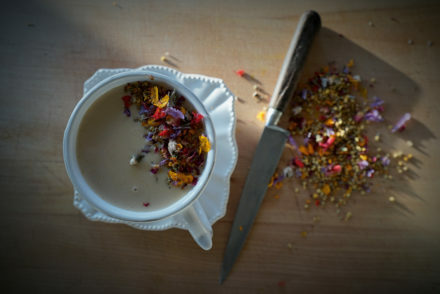 The obvious choice for the sweet creaminess consistency of the Ataulfo is in a drink or ice cream recipe. A summer without mango ice cream or popsicles is worthless, and it’s also that tangy, vibrant flavor that brings me to the height of excitement when thinking about working on my upcoming ice cream and popsicle recipes. In my day-to-day life I really do use mangoes, mainly during the Mexican mango season, when all I seem to do is mango-related work. #MangoMania means something totally different to me! I’m not a fan of just eating a mango, I think I have been honest about this fact. I prefer mangoes being used in savory dishes and recipes (outside of “paletas” and ice cream) and I use them on a daily basis in cooking. Sauces and salsas, of course, are always on my mango menu (the Sinaloa sauce is usually in my fridge), but I also like to incorporate them into mustards, salad dressings and meat dishes like Korean Bulgogi…and the list goes on. I keep a bottle of mango purée in my fridge and use it for all kinds of things. “If you have it, you will use it”, if I don’t cook with it, I add a little to a weekday Margarita, which I tend to fancy during my tough #MangoMania weeks. My latest quick and easy creation, using some Ataulfo mango purée I had in the fridge, turned out to be way more versatile than I had intended…and simple, which I know we all want and need. I think the key is to have some mango purée at hand in the fridge, you can use it in anything, even to just mix with water and drink it! The mangoes in this recipe make for beautifully bright orange-yellow, sweet and tangy mustard. You can literally use a dollop on anything and everything. Shortcut: Mix a few tablespoons of your favorite mustard with a tablespoon of mango purée! Combine all the ingredients in large mason jar or stainless steel bowl. Cover and let stand refrigerated for about 48 hours. After the ingredients have macerated and soaked during this time, pour them all in the blender and blend until totally smooth. If you want to make it spicy, add the fresh jalapeño at this stage. If the mustard is too thick add a few tablespoons cold water and blend until desired consistency, adding more cold water a little at a time until desired thickness. Refrigerate mustard for up to one month. This recipe makes a wicked honey mustard salad dressing, by the way!